Applications were invited through advertisement published For the 128 various posts of Assistant Managers & Managers in following, apply before 15/01/2015. For Assistant Managers (RDBS) : A Bachelor’s degree with a minimum of 50% marks or an equivalent grade, in aggregate of all semesters / years OR (Master’s degree with a minimum of 50% marks or an equivalent grade, in aggregate of all semesters / years OR A Doctorate Degree OR Chartered / Cost Accountants / Company Secretary (ACS) with a Bachelor’s Degree OR PG Diploma in Management / MBA Qualification from institutions recognised by GoI / UGC, with Graduation / Bachelor’s Degree. For Assistant Manager (Legal Service) : Bachelor’s Degree in Law recognized by the Bar Council of India for the purpose of enrolment as an Advocate with a minimum of 50% marks or equivalent in the aggregate of all semesters/years OR LLM degree with a minimum of 45% or equivalent in the aggregate of all semesters/years. Desirable: Special knowledge of Banking Law, Company Law, Labour Law, Cyber Laws and Constitutional Law and experience in drafting of pleadings and documents and experience as an Advocate or as a Law Officer in the Legal Department of Banks/financial institutions. For Asst. Manager in Grade ‘A’ & Manager in Grade ‘B’:Between 21 years and 30 years (candidates born not earlier than 01 December 1984 and not later than 30 November 1993 are eligible to apply). December 1974 and not later than 30 November 1989 are eligible to apply). How to Apply : Interested Candidates may apply Online through NABARD website www.nabard.org from 24.12.2014 to 15.01.2015. Applications were invited through advertisement published For the 03 posts of Office Attendants Group C in following, apply before 17/01/2015. Educational Qualification : VII Pass, Maximum Undergraduation. 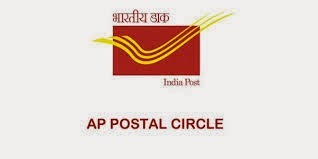 How to Apply : Applications complete in all respects must reach the Bank’s office on the aforesaid address latest by 17.01.2015.The application must be sent by ordinary post or speed post only or may be deposited in the box kept at NABARD, Uttarakhand Regional Office, 113/2, Hotel Sunrise, Rajpur Road, Dehradun – 248001 on any day between 09.30 am to 5.15 pm. Applications were invited through advertisement published For the post of Office Attendants in Group C in following, apply before 31/12/2014. Educational Qualification : VII pass, Maximum : Undergraduation. How to Apply : Candidates must apply in the prescribed format. The format of the application published herewith should not itself be used as Application. A4 sheet (29.7 cm x 21 cm) should be used for Application. Application may be preferably typewritten or neatly handwritten in Hindi / English (Block/ Capital). 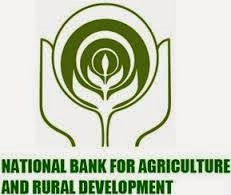 The application must be sent by ordinary post or speed post only or maybe deposited in the box kept at NABARD’s Uttarakhand Regional Office, NABARD, Uttarakhand Regional Office, 113/2, Hotel Sunrise, Rajpur Road, Dehradun – 248001 on any day between 09.30 am to 5.15 pm on week days except Saturdays, Sundays and Holidays in a cover superscribed “Application for the post of “OFFICE ATTENDANT”. Application should be addressed to the Chief General Manager, NABARD, Uttarakhand Regional Office, 113/2, Hotel Sunrise, Rajpur Road, Dehradun – 248001. Applications complete in all respects must reach the Bank’s office on the aforesaid address latest by 31.12.2014. Assam Rifles Recruitment Rally for Compassionate Appointment will be held at Shillong, (Meghalaya), NRS- Guwahati from 10 Mar 2015 onwards for enrollment of 64 vacancies (male candidates) for Rifleman (General Duty) post only. Educational Qualification : Matriculation or equivalent. How to Apply : Candidates shall submit their applications by 30 January 2015 as per the attached format to the address mentioned below. Applications received thereafter i.e. 30 January 2015 will not be entertained. Headquarters, Directorate General Assam Rifles, (Recruitment Branch), Laitkor, Shillong, Meghalaya – 793 010.